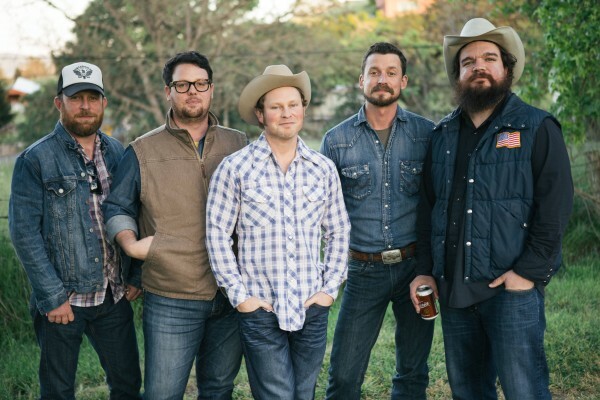 It’s been a minute since Turnpike Troubadours put out new music – three years, actually – but the time has finally come, and it was definitely worth the wait. The Oklahoma band’s latest album, which drops September 18 on Bossier City Records, is perhaps the group’s supreme achievement. We chat with singer and lead songwriter Evan Felker to discuss Levon Helm’s best work, the value of a good idiom and why he didn’t like country music as a teenager. You seem to write about characters a lot. Are you mostly influenced by your life or the lives of people you know, or do you create a lot of stories within your songs? It’s really a pretty even combination of the three, to be honest. It’s my life with a series of “what ifs” that are based on people’s stories and situations that I’ve been in but wasn’t a main player in, and applying that to these characters and trying to make them have a little bit of depth, or at least have them see interesting things while they’re getting to live their three minutes of life. I’ve always written poetry, I tooled around with it when was a kid. I remember being 10 or 11 and reading “Eldorado” by Edgar Allen Poe. It’s very interesting how you can make things rhyme. From then on I just tried to write poems. And then poems aren’t cool at some point in time, but if you have a guitar, they are cool. It’s such a decent outlet for it. Do you write a lot of poetry now or do you spend your time writing songs? I like to read poems and think it’s an interesting artform, but for me, it seems like a waste of time when I could write songs and have someone actually hear them. Do you remember the first song you ever wrote? Or the first poem you set to music? I remember writing a rock song I played in high school. I wasn’t trying to say anything, I just remember trying to write this cryptic stuff that sounded cool, like a Pearl Jam song. That was before I got into country music. I went for a long spell where I sort of dissed it. I didn’t like country music ‘cause it was just Reba McEntire and late Garth Brooks. George Strait was always cool. There were country songs that I liked a whole lot, but in general I didn’t wanna write those things because they didn’t seem like what a young person does. I don’t remember the first song I wrote. I don’t remember the name of it or any of the lines in it, really. I probably could play it on guitar a little bit. What’s your general songwriting process like? I try to gather idioms that are interesting and haven’t been over used, or anything that I read that I can turn on its head into something that sounds like something I could say, or that not that many people have said. Once I get all those compiled, then it’s coming up with stories and scenarios that would interesting to write about that I’m inspired by or interested in and then fooling around with chord progressions and melodies that seem like they could support those and turning them on their head eventually. Do you find that you usually like to write albums all at once or do you write here and there? I write here and there; I try to write all the time. There are times where I go and write a song a week for a while, and they’re not always good enough. Worst case scenario, as long as you don’t give a mediocre song to somebody else, you can take back all the good parts about it and make it another good part you can use in something else. I like to write as much as I can. I don’t do very well on the road writing because I’m around a lot of people in close quarters. It’s difficult to think your own thoughts. There’s always somebody talking. I quit trying because it became kind of stressful for me. I write here and there if I can get off by myself. How much of the band’s songwriting is collaborative within the band? Generally, unless RC [Edwards] and I co-wrote it, I bring what I think of as a finished song and we all apply ourselves to it in the way we would play it as this band. How can it fit in to what we do, and can it, first and foremost? Is it us? Every band’s got some set of defining principles, I would assume, if they have that many people in it with open creative input. A lot of it is just leaving it with each other. Nobody’s gonna press each other on their instrument, other than towards the musical direction you’re trying to go in. We don’t ever really sit down and write together. That may sound rude, but we sit down with the songs very often. People do write parts and affect the way it comes out on the record. But as far as just sitting down in a room and saying “Let’s write this thing,” we don’t do that. RC wrote some songs [on the new album] too. He’s a really good songwriter and he’s helped me write a ton. We help each other out a lot more than we co-write anymore. With us, it’s not about credit, necessarily. It’s more about having strong songs and the person’s idea coming through the way it should. It’s just like helpful editing, that’s all. A lot of people would call that co-writing, but I think that’s just trying to get credit. I don’t think that has anything to do with writing. We always help each other. As far as guys that are out there playing, I’ve got a pal up in Canada named Corb Lund, who’s exceptional. And I got to write with Rhett Miller from the Old 97s on this record, and he’s great. I think he’s as cool as they get. Obviously, I like guys like Cody Canada and all the Braun’s, the Reckless Kelly and Mickey (and the Motorcars) guys, all my pals, really. And (John) Fullbright, he lives right down the road from me. Some of them were doing great before we even started, but some that I came up through the ranks with. It’s a good community of songwriters out there that aren’t in this game for credit and they’re not in it to even make a ton of money. They just want to write something they’re happy with. That’s what I try to do. I make myself happy with it. If you could co-write with anyone living or dead, who would you choose? Levon Helm. He’s one of my favorite musicians of all time. He wrote a couple songs for The Band. He wrote “Strawberry Wine,” which is a pretty cool and underrated one. What’s the name of the song you wrote with Rhett Miller? I would have to go back to the Levon thing with “The Weight.” It’s got all these x-factors in it. First and foremost, the melodies are very interesting. It takes you on this abstract narrative journey that everybody goes on in different ways. It’s great for a reason that I don’t understand. And I think those kinds of songs are the ones that stand the test of time. That’s not even necessarily my favorite song in the world, I just think that there’s just no denying that it is perfect on every level. Musically, vocal harmony-wise and the storytelling’s interesting. I don’t try to decipher what it is, I just look at it as a subjective, abstract narrative that makes we feel something.